"Furnaces, boilers, portable heaters, electric heaters, etc. are like shoes and clothes. They come in different sizes." What is Radiant Heat? Is it Magic? How Does My Darn Heat Pump Work? You'll NOT Believe It! CLICK HERE to get FREE & FAST BIDS from local heating contractors. 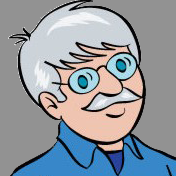 DEAR TIM: Are all heating systems the same? My heating system is running constantly and it can only maintain a temperature of 67 F in my home. It's very cold outdoors, actually below zero. Do I Need A Heating System in Florida or California? DEAR VALERIE: Bitter cold temperatures are straining hundreds of thousands of heating systems all over the nation. Even sunny Florida and California can get unusual cold snaps. I think you may be a victim of an undersized furnace or heating system. There are many of these scattered about in your city, state and our great nation. Can a Heating System Be Too Small? There are numerous analogies I can throw up to help you understand the situation, but let's use one that many will understand. Imagine trying to use a small gardening wheelbarrow to haul a load of gravel that fits in a pickup truck. The wheelbarrow simply would get overloaded. It can only handle so much soil or gravel before the excess spills over the sides. Heating systems can be overwhelmed by cold temperatures. Do Furnaces and Boilers Come in Different Sizes? Furnaces, boilers, portable heaters, electric heaters, etc. are like shoes and clothes. They come in different sizes. A boiler that works to heat my home will not be large enough to handle heating a hotel or an office building. Who Sizes a Furnace or Boiler? 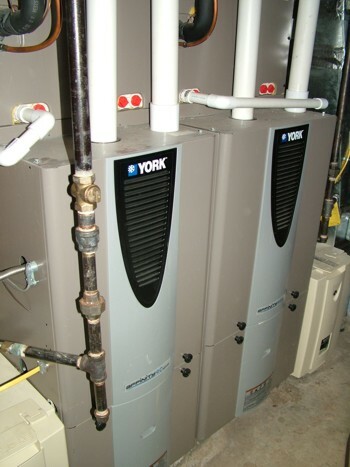 Heating contractors have the ability to size a furnace or boiler. They do this by calculating the heat loss of your home. That's the actual term - heat loss - and it's a measurement of how many Btus of heat your home loses each hour in its battle with cold temperatures. How Do You Calculate Heat Loss? When your house was built, the heating contractor was supposed to take all sorts of measurements that enable him to calculate very accurately the heat loss. These calculations are done on a room-by-room basis so the contractor can make sure that he pumps or pipes into each room the necessary Btus to make that room comfortable. These calculations are based upon a seasonal average low temperature in your area. When Old Man Winter drops the temperature far below this average for days on end, your furnace can't deal with the larger deviation. Does Heat Loss Increase as the Outdoor Temperature Drops? Understand that the colder it gets outdoors the more Btus your home loses in an hour. This is pretty easy to understand when you think about it in broad terms. Assuming your home is at 72 F and it's 60 F outdoors, the inside of your home will stay comfortable for quite some time. But if it's -25 F outdoors, the temperature inside your home will drop like a rock. Your furnace or boiler works to offset this leakage of heat to the outdoors, and when it gets bitterly cold, it simply can't produce the amount of heat each hour that's being lost. Should I Get a Bigger Furnace? 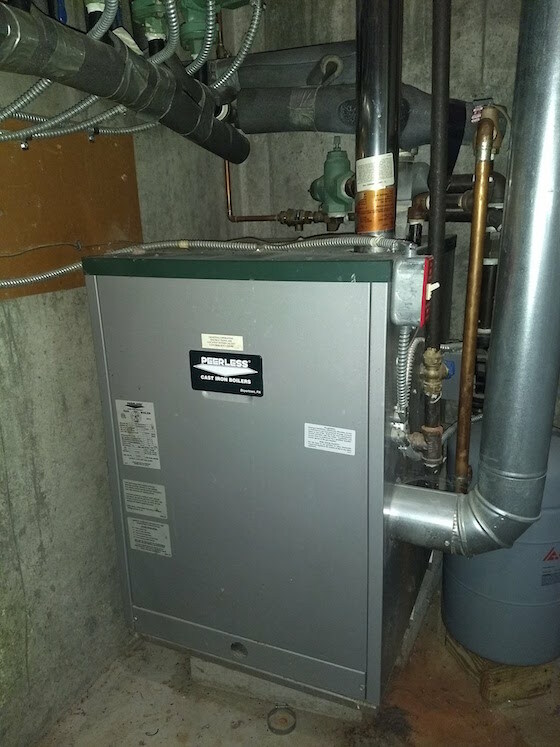 You can install a bigger furnace if you like, but what will happen is that in mild weather, it will run you out of the house as it sends vast amounts of heat into the house in a short amount of time. If your home is forced-air heat, understand that perfectly balanced systems have the air floating out of the ducts in lower velocity. This prevents whistling noises at the registers. You want gentle amounts of air flowing from the ducts that keep you warm without noise. How Can I Stay Warm Indoors Now? To keep yourself warm now, I suggest wearing more clothes. Wear long underwear, multiple layers on your legs and arms and even a hooded sweatshirt. Wear sheepskin-lined slippers and light gloves. It's really important to keep your hands and feet warm even inside your home. The extremities on your body send signals to your brain when they sense the temperature is starting to fall. It's a defense mechanism that helps preserve body heat. Should I Ask For the Heat Loss Calculations? If and when you get a new furnace or boiler, be sure you request to see the calculations that are required to show what your heat loss is. You can't assume the current size of your heating system is correct. The original contractor may have undersized it. It's really important that your system is sized to match the actual heat loss. What Does a Contractor Look At for Heat Loss? When a contractor calculates the heat loss of a home, they look at many things. They need to know the amount of insulation in the walls and ceilings, the number of windows and doors and how big they are, the type of construction of the house, the number of occupants, how many lights are in the home and many other things that affect the production of heat and how well the house can store this heat. It's not as easy as it seems. Does It Matter Which Direction My House Faces? Even the compass direction the exterior walls face is important. If the side of the house that has the most windows faces north, the heat loss will be greater than if they face south. In the northern hemisphere, the north side of the house gets no direct sunlight into the windows in the winter months. This can make a difference. Simply take the time to ensure you get a heating system that will provide you with maximum comfort most of the time. In the rare times it gets bitterly cold, you'll need to snuggle with a loved one or just wear more clothes to keep warm at minimal expense. 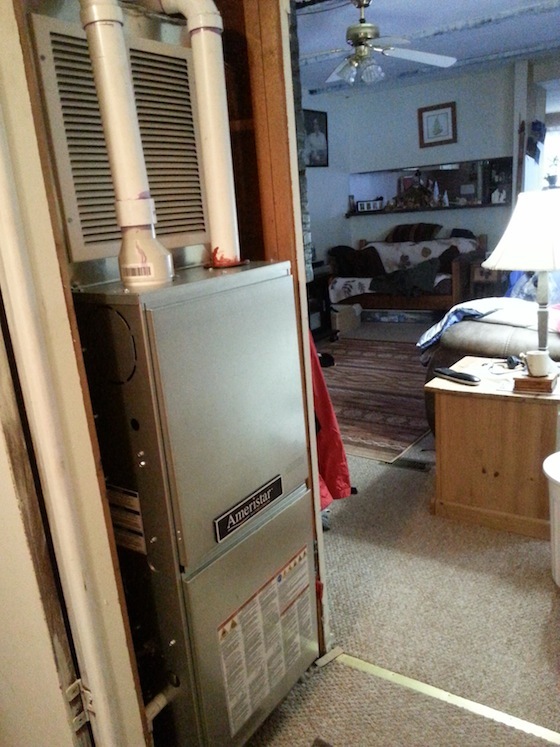 Your heating system needs to be sized to match your home and the heat loss. Always put in a slightly bigger furnace.